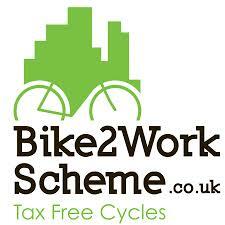 The Cycle to Work Scheme is an employee benefit that saves you money on a bike and accessories. You pay nothing upfront and the payments are taken tax efficiently from your salary by your employer through a monthly salary sacrifice. Please ensure that your Employer is registered with one of the many providers. Also, you'll need to check that the retailer your visiting is also registered. At the Bike Hub we offer Cycle Scheme through the above providers. It's simple, all you need to do is call in for help and advice when choosing your package. Then simply get a quotation from us and contact your employer to get the process rolling. You can find out more information about the providers from the links below.